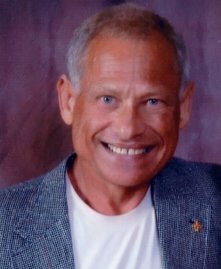 Dr. Greene completed his BA degree in Chemistry in 1964 at Emory University in Atlanta Georgia. Many people refer to Emory as "The Harvard of the South". Emory is the location of the Internationally known Carter Center. After graduation, he attended the University of Georgia in Athens Georgia, studying Biochemistry and Cell Biology with emphasis on DNA and the Nucleus of Cells. Dr Greene received his Doctor of Dental Science (DDS) in 1968 from the University of Tennessee Medical Units in Memphis, Tennessee. Following his formal education, Dr Greene worked for the State of Virginia Department of Public Health. He spent an additional two years of training in the United States Navy at the Dallas Naval Air Station in Grand Prairie, Texas. This experience provided him with an ongoing hands-on clinical training in every specialty of dentistry. He opened his private practice in Temple, Texas in 1971, emphasizing family dentistry, restorative dentistry, cosmetics and implants. Dr Greene has developed his practice with an emphasis on health and meeting each patients individual needs. He takes time in developing rapport, is known for his gentle, caring manner and his expertise in Aesthetic and Restorative Dentistry. There is, and has always been, a strong emphasis on providing the latest techniques through Continuing Education, with an emphasis in advanced restorative and cosmetic courses. His training in these areas includes completion of courses at the Prestigious Pankey Institute for Advanced Dental Education located at Key Biscayne, Florida, Dr Greene was a member of the first group to complete the original Continuum. Dr Greene has also studied with Dr. Peter Dawson, of the Dawson Center, studying Occlusion and Restorative Dentistry. The Dawson Center is located in St. Petersburg, Florida. long after the sweetness of low price is forgotten"